Ready to scale up your production? Karmelle are here to help you do it as effortlessly as possible. Whether you are a start-up or expanding on a large scale, we bring years of knowledge and experience from the liquid filling industry. 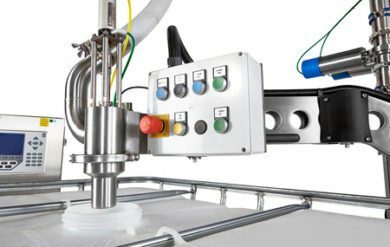 Let us know what you need from the liquid filling machine and we will design, manufacture and install it to your exact specifications. And if you need to grow, we can add more filling heads. How’s that for flexibility? We are true to our promise – if it’s a liquid, be it water, beer, dairy, lubricants, creams, peanut butter, paint, chemicals, pharmaceuticals and many more - we will know how best to fill it into a variety of containers! 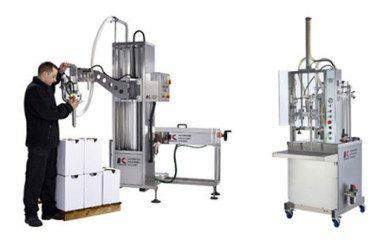 Karmelle offers a range of automatic and semi-automatic filling machines. 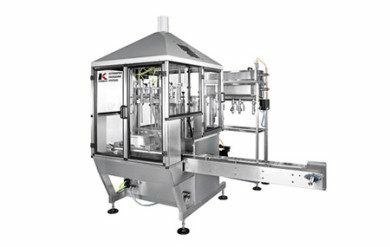 All automatic filling machines are modular and more filling heads can be added if your product volume increases.